Here at Noonday Collection, we’ve loved hearing how many of you embraced your inner muses with our Fall 2018 line of beautiful handcrafted jewelry and accessories. And now, there’s a refreshing chill in the air. Why? Because winter is right around the corner! We’re here to help you set the mood with our new line for Winter 2018. Whether you’re looking to spruce up your holidays, gift friends with thoughtful, handmade home décor, or accessorize your home with impactful adornments (that just might become future heirlooms), Noonday Collection has designed a versatile winter line with something for everyone to love. Are you ready? Go Peruvian chic! This fabulous winter-wear is all knit with a soft, warm Alpaca blend. Alpacas definitely share the load in Peru. Their fluffy coats are lighter and warmer than wool! 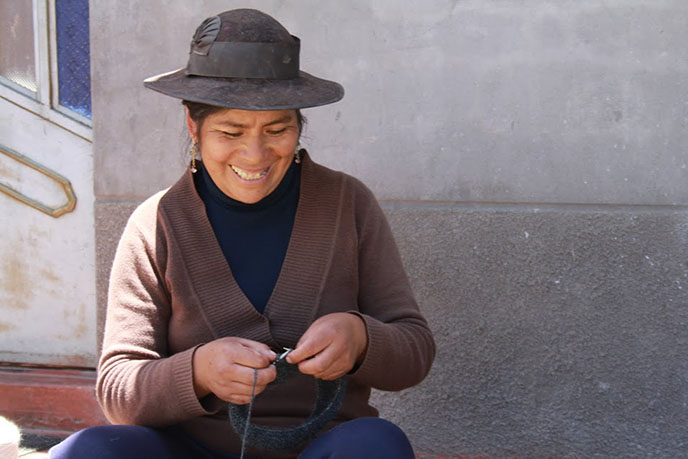 Actually, Alpaca is a richly textured and sustainable resource that communities and Artisans in Peru have been using for generations. And did you know that it’s hypoallergenic? Maybe that’s why it’s become such a trendy material this winter! It’s impact with style and comfort. 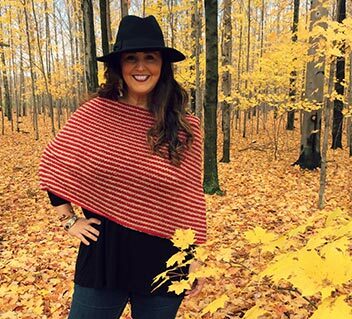 Get cozy with this trendy Peruvian over-shawl, sustainably crafted with alpaca and wool for plush softness and warmth. It’s cozy with a conscience. 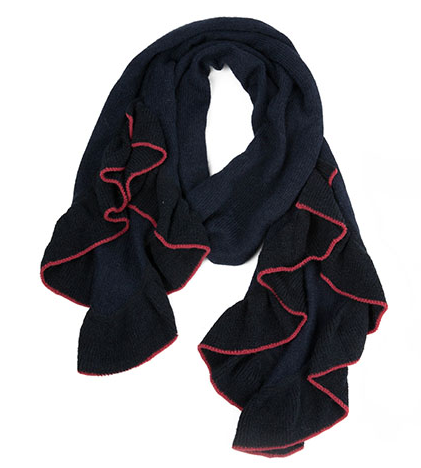 This winter, go bold, get warm, and stay soft! 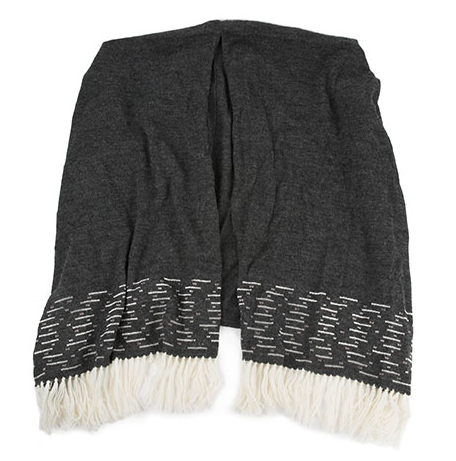 Handwoven in Peru, this richly ruffled scarf adds comfort and style to any cold-weather look. There’s no better way to deck the halls this season than with these handmade ornaments that represent stories and impact that span across the globe. But with all that meaning—and handcrafted beauty—you may find yourself repurposing them to use year-round. And that’s fine! 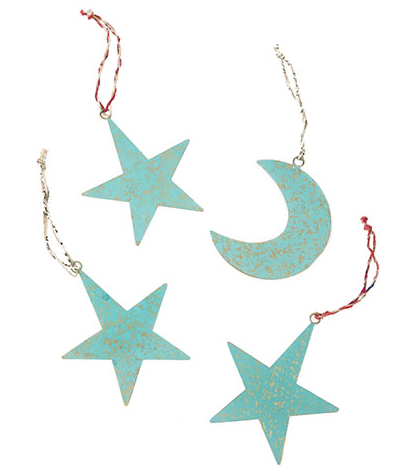 These ornaments will brighten your home on any occasion, holidays or just everydays. 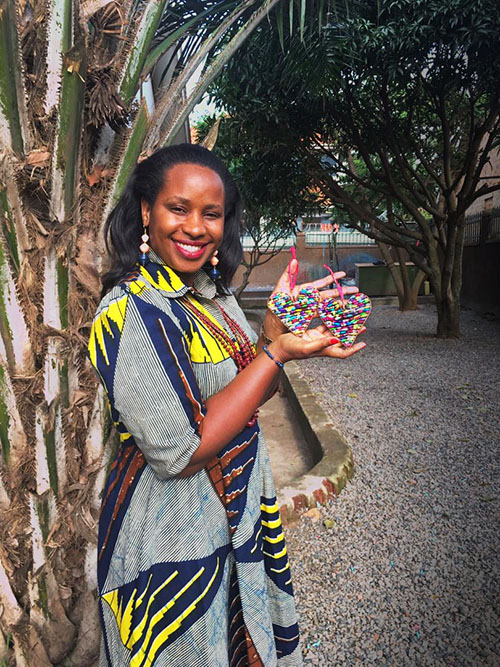 Noonday’s first-ever Artisan Partners in Uganda—Jalia and Daniel—started their business with a big dream: using the craft of paper-bead rolling to create opportunity for others in their community. 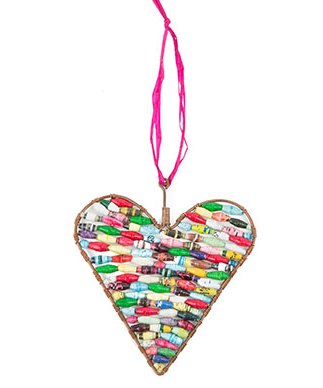 Put a little love on your tree (or wall!) this season with this handmade paper ornament that carries a beautiful story of hope. Each ornament creates opportunity for the Artisans who made it, making it a meaningful addition to any home, and a steadfast reminder that, when we come together, we really can build a flourishing world. Handmade in Vietnam with colorful Hmong fabric and rich velvet backing, these vibrant stockings could dance on their own. 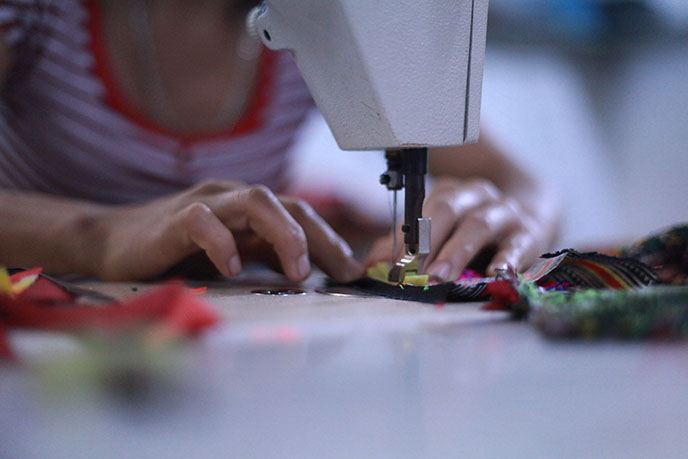 Hmong fabric is a vivaciously colorful textile, upcycled from traditional Vietnamese skirts that represent heritage and identity for communities in Vietnam. Each pattern is totally unique, so these stockings are assorted reminders that we all bring gifts to the world that are truly one of a kind. Whether you give them to friends or hang them over your own fireplace, they’re a brilliant way to add a special story to your holiday décor! Want a holiday wreath that’s full of life and environmentally conscious? 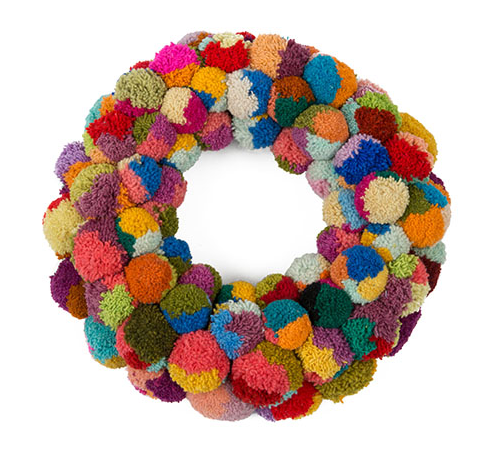 This gorgeous pom wreath is handcrafted by Artisans in Peru with lively wool poms. 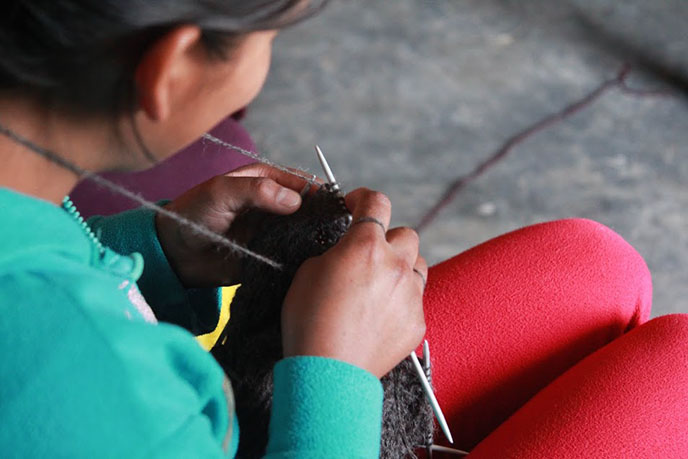 Every pom is made by women who can’t work in traditional embroidery due to their dexterity or eyesight. They provide the aging community with dignified jobs and resources. This pom wreath bursting with stories, bringing color and vibrancy to even the darkest winter nights. 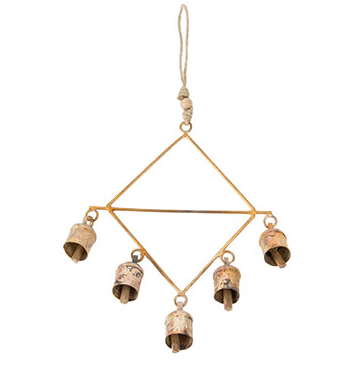 Handcrafted by Artisans in India, these rustic brass bells are the perfect way to ring in winter. Hang these beautiful bells from your porch for some colorful music, or gift them to someone with a taste for rugged chic! 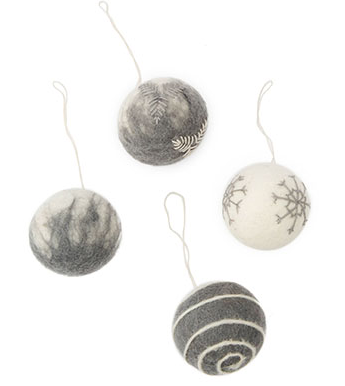 From the foothills of the Himalayas, these felt ornaments feel like plush snow globes you can hang in your home. 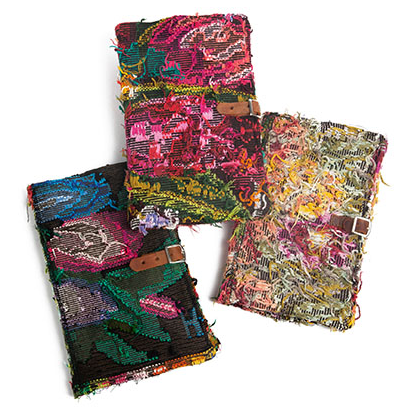 They come complete with festivity, chock full of backstories from the Artisans in Nepal who crafted them. You can add these decorations to your own collection or gift them to friends to share the Noonday mission! 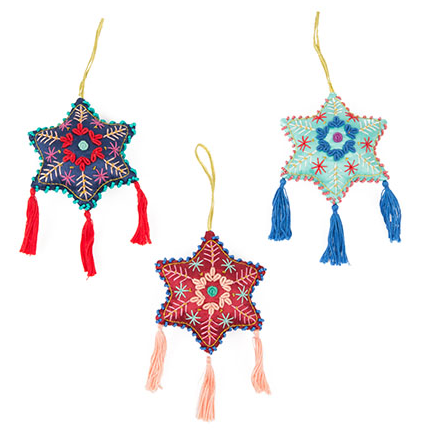 These lovely ornaments are handcrafted in Afghanistan by women rebuilding their lives after Taliban rule. Coming in a set of three, each is stitched with a variety of regal patterns and colors. They’re emblems of hope and restoration that make thoughtful gifts or beautiful additions to your own collection. Could this elephant be any cuter? 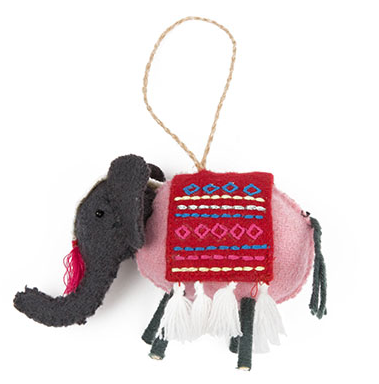 Handcrafted by Artisans in India, this woolen ornament is the perfect gift for that friend who always makes you smile! Or you might decide this Friendly Elephant would play well with your own decorations. Whether it’s on the tree or under it, this little ornament can brighten anyone’s day! 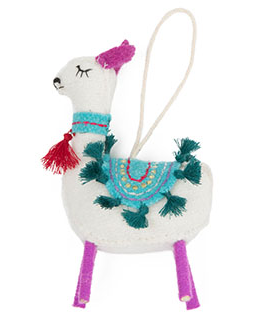 This snuggly llama ornament makes a perfect gift for anyone you’d like to send some holiday cheer. Or, you might just notice that it’d make a whimsical addition to your own tree! Did someone say heirloom in the making? For Artisans in India, brass plays a meaningful role in craft. Not only is it a sustainable metal, it shines with a rugged luster that reflects the hard work and hope of India’s vulnerable communities. 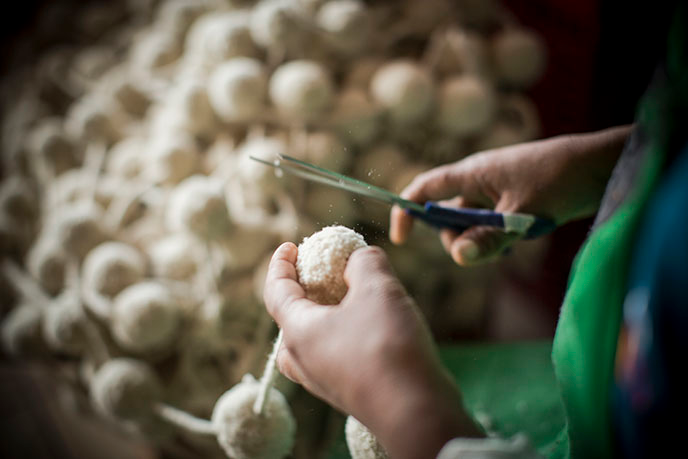 These Artisans won’t let that beauty be left unseen. Artisans patinate durable brass to give it the delicate vibrancy of turquoise. The final product is this gorgeous starry-night set of ornaments. They’re as beautiful and meaningful as they are resourceful. Between chilly weather and the holidays, you may find yourself on the home-front more often than not this season. Don’t let that slow down your style! For Winter 2018, Noonday is taking our passion for design to the interior décor scene. These brand-new accessories are a trendy way to bring impact into your home. Or share the impact with friends! These unique, handcrafted pieces make thoughtful gifts that grow our community and spread Noonday’s style made with love. Tell your story with this leather-accented journal cover, made from traditional Guatemalan textiles known as huipils. 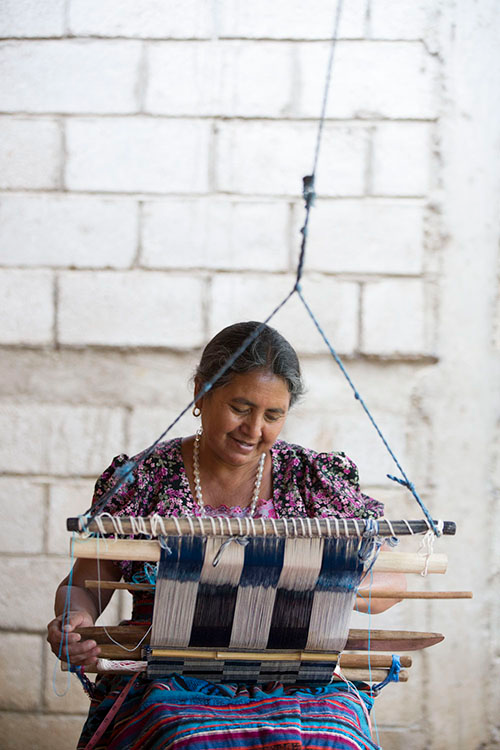 Each vibrant huipil textile is individually crafted by women in Guatemala to express their unique heritage. Every pattern is one of a kind, making these assorted journal covers a meaningful way to bring together your story with stories from across the globe. Cut from quartz in India, these trays represent innovation and commitment to sustainable craft. See, the Artisans in Agra who make them were once experts in leatherwork. Due to pollution, these communities of craftspeople adapted their skills to master stonecutting and marblework, environmentally friendly trades. Now, these trays reflect that versatility! 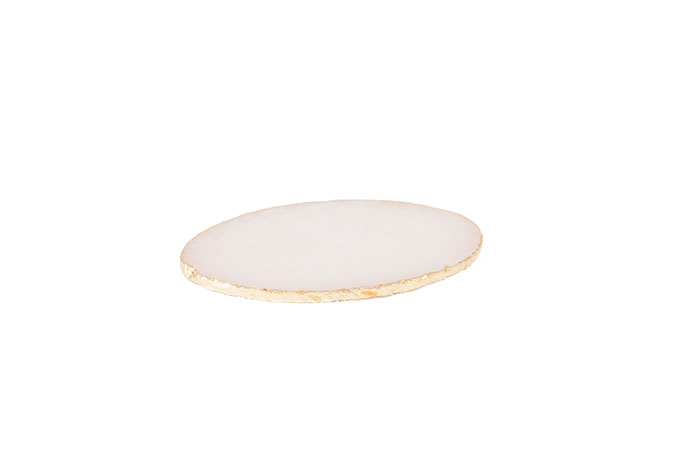 They can serve as coasters, trinket-catchers, or even dazzling table toppers. They do it all and fit gorgeously into any décor style. 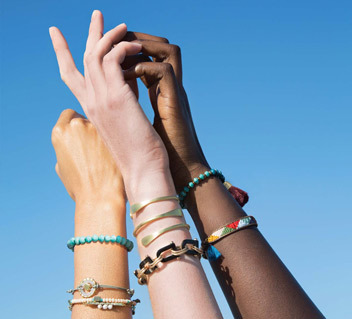 Want to make sure you never lose track of your favorite Noonday jewelry? This exquisite ring bowl was handcrafted with love and care by Artisans in Guatemala just for that. It’s subtle enough to compliment any décor. Your jewelry will create a melodic jingle against its shimmering glass. Enjoy your winter with style! Cherish this season by bringing new stories into your home. And connect them with stories of your own! 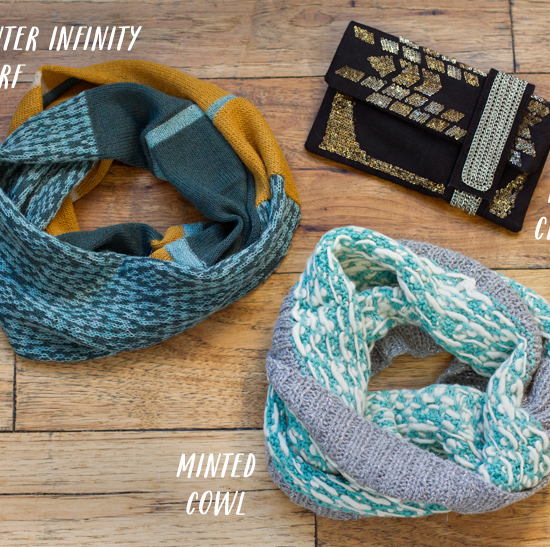 Noonday’s socially conscious collection for Winter 2018 will accessorize any lifestyle with love and world-changing style. So get ready and go beautifully—inside and out.